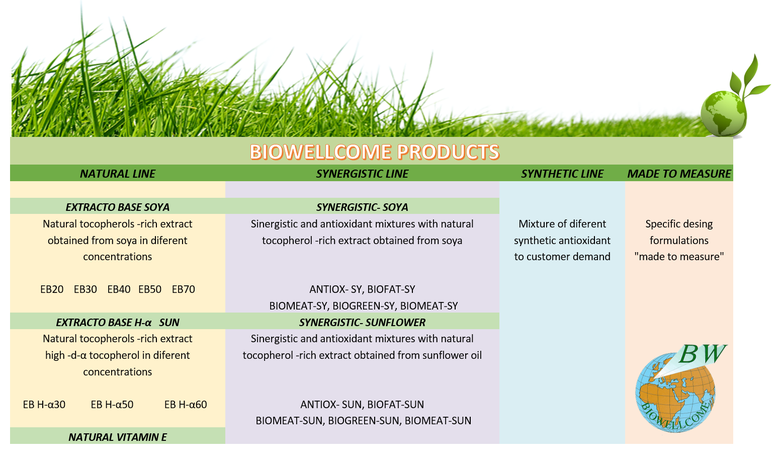 Biowellcome is specialized , since its founding in 1997 in the development of antioxidant ingredients based on natural extracts rich in tocopherols and vitamin E. The company focuses its R & D + i in achieving greater adaptability of its formulas which requires each application of its customers. 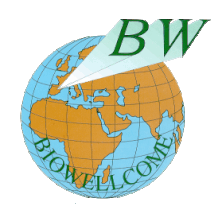 As noted by the company, " there is a pressure that is increasing by consumer groups REDUCE the amount of synthetic additives in food so it is becoming increasingly difficult for manufacturers using this type of synthetic antioxidants " and before which , Biowellcome proposes its wide range of food based antioxidants tocopherol, which also have the advantage over synthetic tolerate very high temperatures, so they remain in the final product processed. This offer is segmented Biowellome around four ranges available in both soybean and sunflower.